“There are so many contradictions inherent in being a Mexican in the U.S.," says Corchado. It was a cold winter’s night when a young Alfredo Corchado, homesick and lonely, wandered into a Mexican restaurant in Philadelphia, where he had moved from Texas to write for The Wall Street Journal. On that evening in 1987, he bonded with three people — the restaurant owner, a human rights activist and a lawyer — over tequila and their shared Mexican and Mexican-American heritage. The four friends have remained connected ever since, through professional milestones, political changes, and many discussions about what it means to be an American of Mexican descent. 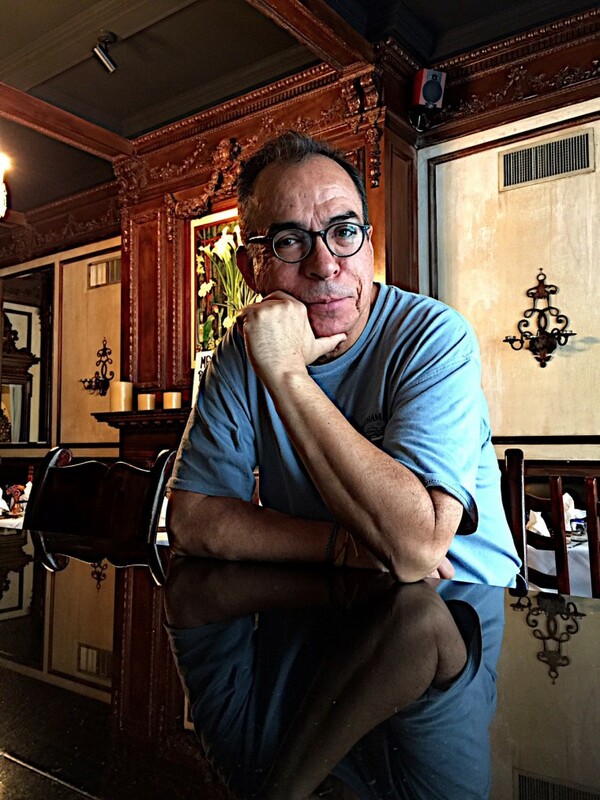 Over three decades later, Corchado, the border-Mexico correspondent for the Dallas Morning News, chronicles these friendships as a backdrop for a new book that blends his personal experiences with his acclaimed reporting. Corchado is the author of the highly acclaimed Midnight in Mexico (2013), a blistering account of Mexico's powerful and violent drug cartels — he himself was a target — who has written for The New York Times and The New Yorker. In Homelands, Corchado traces his family’s immigration history. In 1948, his aunt was the first family member to head to the U.S. Corchado's father followed later, working as a bracero in California under the federal program that brought in workers from Mexico to alleviate U.S. labor shortages; his father later sent for Alfredo and the rest of his family. Homelands explores the duality inherent in being Mexican-American, which attorney Kenneth Trujillo, one of Corchado’s friends profiled in Homelands, sees as a universal story. “I think it is common in the U.S. for people to navigate different worlds, whether they are racial, social, or ethnic, or between generations of immigrants, or even for first-generation college students,” said Trujillo, a former mayoral candidate in Philadelphia. Describing Corchado as a great storyteller with an indefatigable curiosity — "the dinners and tequilas I’ve shared with him all hold great memories of my life” — Trujillo believes that the book provides context for this bi-cultural existence, whether readers are Latino or not. In the book, Corchado offers his take on what it means to be Mexican-American, whether he is covering a Trump rally in Arizona, or listening to his mother wonder if emigrating to the U.S. was really worth it. After the 2016 election, his father, a U.S. citizen since 1998, began carrying his passport in his car’s glove compartment in case he was stopped by ICE. Corchado said that reporting in the U.S. carries its own challenges. “In Mexico, you are often dodging danger; here you are dodging suspicions and accusations that you can’t cover immigration because you happen to be Latino,” said Corchado. Corchado, who has covered the border and immigration policy from Ronald Reagan’s amnesty program to Bill Clinton’s NAFTA to Donald Trump’s family separation crisis, notes that global economic forces can have more impact on migration than immigration policies themselves, while such policies often have unintended consequences. It was mainly the U.S. recession — not immigration policies — that led to a reversal in Mexican migration between 2009 and 2014, with more Mexicans leaving the U.S. than coming in. Andrew Selee, president of the Migration Policy Institute, agrees with Corchado’s findings. Corchado believes that the current wave of anti-immigrant sentiment in the U.S. is just another chapter in the complicated relationship between the U.S. and Mexico. Yet Corchado is optimistic that Homelands will resonate with readers.